Our experience with this process has proven to have a superior bond than chrome (25 thousands of an inch of thickness compared to 10 thousands). The process for Jet Kote is to apply special Powders for hard surfacing and build up application. Due to the extreme pressure, it impregnated the powder into the material. It is a cold process, allowing no distortion what so ever. 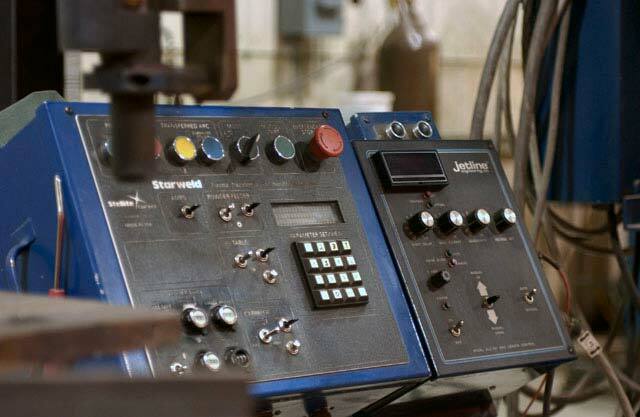 Some typical applications are Hard Surfacing Pumps, Pump Castings, Chipper Parts, Planner Rolls, built up Stainless Steel Shafting, Bearing Journals, and many more….